Are you a newly minted founder or anticipating the day when you’ll be ready to launch a business? The Startup Life Show will add value to your startup life... without glorifying the startup journey. This podcast is devoted to bringing you the real stories from startup founders and the folks who fund them and serve them. 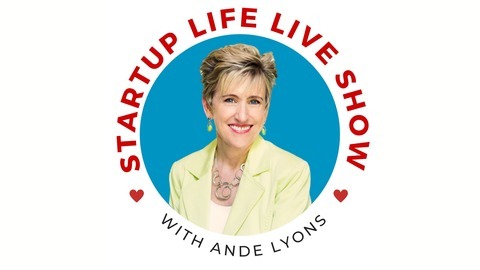 Startup Founder Coach and Mentor Ande Lyons explores strategies and solutions, insights and inspiration through conversations with business owners who fought their way through the high level of uncertainty and often insurmountable challenges of a startup. Her interviews with experts will sharpen your startup tools and add best practices to your startup toolkit. Ande also shares her hard earned tips, tools and advice (from raising 4 of her own businesses!) to help Founders break through the roadblocks facing their businesses. Especially the most common of chokeholds on a business: the Founder's mindset. 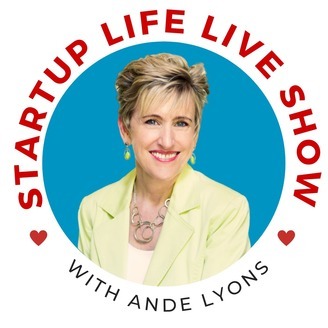 Maximize the joy and minimize the heartaches from your Startup Journey by following and tuning in to the Startup Life Show with Ande Lyons!